Lion Lamb Blog -- David Mundy: 'Til Death Takes Us Together? Yesterday I sat in our vehicle waiting for Ruth to emerge from a store and listened to an interview on CBC radio's The Current of three adult children whose parents had arranged their own deaths. These weren't kids speaking, ranging in ages from 54 to 71. 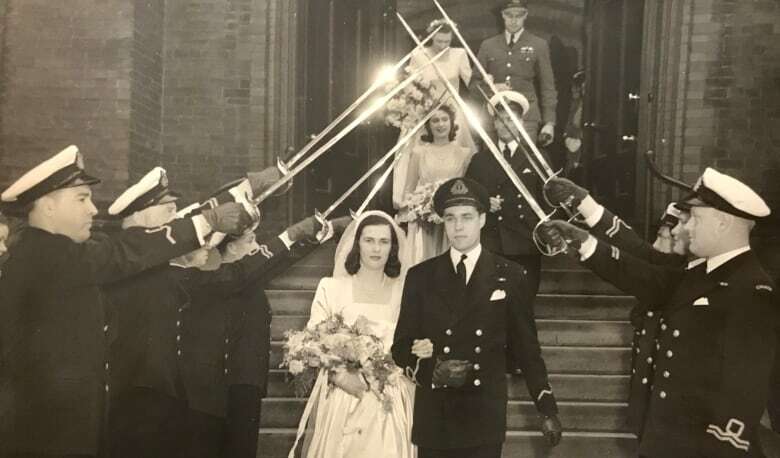 Their parents, Shirley and George Brickenden, were married nearly 73 years, having met during WW2, living a long and full and loving life together. But at ages 95 and 94 they both were experiencing serious health challenges which meant constant pain for Shirley and regular trips to the Emergency Room for both of them. They decided that MAID, Medical Assistance in Dying, would be a mercy and they wanted to die together. The children were supportive despite the prospect of losing the parents they loved. Arranging their deaths together was not straightforward for the Brickendens but they navigated their way through it all with the help of their children. Because we often associate coincident deaths with murder/suicide there was 'splainin' to do, including with the chosen funeral home. Funeral homes are accustomed to preplanning arrangements with couples but not with knowledge of the specific time and day of death for a couple. In the interview the three children offered that their parents seemed more at peace, lighter, once the decision was made and the hurdles cleared. Despite some reluctance from their son about being present at the time of death he realized that his parents had brought him into this world and it was only right he should be there as they departed this life. Grandchildren came home from around the world to be part of this momentous departure. 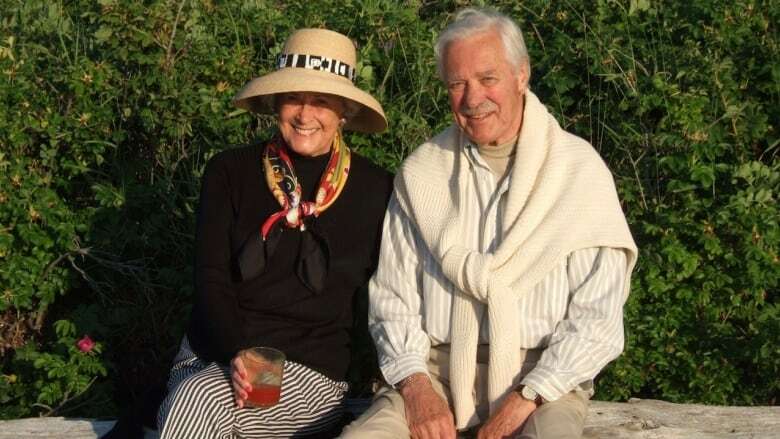 The Brickendens were able to die in their seniors' residence with family present. A deacon came from their church to provide Christian solace. Both found meaning in their faith and this support brought them comfort. Shirley was confident that God did not want her to suffer any more. Shirley and George died peacefully alongside each other and he offered his love to the family as his last words. When the funeral home staff arrived for the bodies they shed tears seeing the couple together in repose. The Brickendens were private people but they decided that their story and I found it very touching. I continue to have my reservations about MAID but my thinking has shifted over time. I still have concerns about assisted death knowing that many people are vulnerable in our society because of disabilities, and cognitive impairment, and mental illness. The provision of palliative care is inadequate in Canada, as well as mental health support. Assisted dying is not a panacea for the grim reality of suffering and the inevitability of death, and not much is said about who is watching to ensure that ethical standards are met as people die this way. Not all children are like these three lovely children and if family members in some situations rob their loved ones blind, who's to say that won't encourage death for the feeble and confused? We can't even ensure that MAID will be available to everyone in this vast country. Still, hearing about the Brickendens was important. We can commend them to the care of a merciful and welcoming God. What do you think about this? Have your opinions about MAID shifted over time? Take a few minutes and listen to the interview and then read my Groundling blog for today since you're only a click away. I understand the arguments, but still I am left with the nagging thought that just having the choice could lead to a time when the fact that this choice exists at all begins to inadvertently narrow choices. I mean that it becomes somehow in my mind, an either/or situation which is a mere 2 choices. So instead of weighing varying options, we think about only 2 - continued suffering or no suffering at all.This does not necessarily speak to a person's sense of meaning, it may, but it may not. Yet, I have watched loved ones suffer long illnesses and die, and been relieved when they took that last breathe. I just finished reading Being Mortal:Medicine and What Matters at the End by Atul Gawande. It really left an impression on me. Perhaps we should work harder at defining what it means to have a meaningful life. This may include assisted death. I don't know. I find I can't rule it out. Yet still I feel a suspicion that we are being misled somehow. Maybe it is a naive belief in a God who will be there, or maybe I just can't know the answer because although I have known real suffering in my life, I have not been in that place where I knew for certain that suffering was all that was left. My mother wanted to live to the last possible second even though the suffering was horrific. I don't know what that meant to her, I don't know what added meaning it gave her, but I know it meant something. She awoke briefly from a comma just hours before she died, for just a minute, and somehow against all possibility wiped a tear from my eye with her fingertip. Surely this millisecond of time, her finger on my teardrop was living enough for that second. Good points, Lori. This is a very difficult and heart-wrenching issue with no easy answers. Yes, I can see how the vulnerable could be at risk, and that worries me. I also see how there is little quality of life for many of those who are suffering from terminal illness. I was fortunate in that my Mom, who passed away a year ago, did so on her own terms and peacefully with all of us at her bedside. It was sad, but she had told the doctors she wanted that to be her last day. I was working in Windsor, received a call from my sister, and got to the Peterborough hospital in record time to spend two hours with my Mom before she passed. My Dad is wanting this life to end. He has had enough, the dementia taking its toll on him. I know I will be sad when he passes, but he is 93 and I know he won't be around forever. He confides in me about not wanting to continue, and it saddens me. The most merciful thing would be for him to pass in his sleep. In the meantime, I visit him as often as I can at the Extendicare and treasure every moment with him, even if he often thinks I am his younger brother. There are moments when he is more lucid and it's like old times. Those times seem to be fewer and fewer, but when I sit there with him I realize one day in the near future, I will never see him again. Hi Roger, I am sorry to hear about your mom's passing. My mother passed over 20 years ago, so although assisted death was not yet a part of public discussion as it is now, there was the matter of morphine being given in higher and higher doses which all concerned knew would slow down the heart. This had been heartbreaking for me because my mother told us she did not want to die having hallucinations. I can only imagine what that was like for her to slip in and out of lucidness. In the end, we may have failed her, by not making a decision at all. Until the last day she was able to push the button herself, which she did in my presence a number of times. I don't think we are meant to have the answers. For whatever reason we are asked to struggle through it together, so I suppose that's what we will continue to do. I pray your Dad finds peace. And you as well. In the end it always boils down to love, because love is always the last thing left in our arsenal. Death comes to all of us, yet dying can be quite complicated. In Being Mortal Atul Gawande reminds us that the coming to the end of this life is generally more prolonged and more of an extended roller coaster ride than a quick decline. The two of you have shared the personal stories of the ambiguity of this new reality, at least for those of us in countries with a higher level of healthcare. Thanks for being honest about your family circumstances and your own struggles with dying and death for loved ones. The Current offered another worthwhile perspective today after Tuesday's episode. I encourage everyone to listen to both of them.